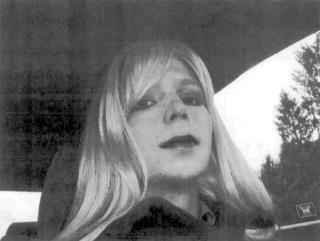 (Newser) – Chelsea Manning's suicide attempt in July has been deemed "conduct which threatens" and the military is punishing her for it. A lawyer says Manning, who was also found guilty of having banned book Hacker, Hoaxer, Whistleblower, Spy in her cell at Fort Leavenworth military prison, was sentenced to 14 days of solitary confinement, the BBC reports. According to a statement released via the Fight for the Future advocacy group, seven days of the sentence have been suspended and it is not clear when Manning will start serving the other seven. to bad the attempt did not work! now we have to pay for the change. Isn't the fact that one is on the brink of suicide "punishment" enough? Simply barbaric.